Calling all Ina Garten fans! Here's one of five recipes I've made and loved from the Barefoot Contessa's new "Cooking for Jeffrey" cookbook in the last two weeks. It's a celebratory main-dish salad, no abstemious January fare but an exultant platter of myriad textures, colors, flavors and moods. And yeah, I know, how in the world can everyday common carrots be the centerpiece of such a celebration salad? You're gonna have to taste it to believe it. But do, please do. Meatless Monday, anyone? LOL, Have We Been Typecast? Have my husband (!) and I been typecast? I fear so. For Christmas, the family Santas gifted us with six new cookbooks. Six! Each one filled with author passion and experience, inspiring photos and fascinating reading – and recipes! Even overwhelmed by new cookbooks, a few days later, I hesitated for one nanosecond before checking out Ina Garten's "Cooking for Jeffrey" when it appeared on the new-books shelf at the library. Still, my expectations were low – last year's Make It Ahead was good enough but for me, offered little new inspiration. The reason was simple: I already had my own long-favorite versions of Make It Ahead's recipes in Kitchen Parade's Recipe Box. Wow! Nearly every page made me want to jump into the kitchen. The recipes were simple, fresh, just a little bit different. Best of all, the recipes called for my kitchen's staple ingredients. The to-make list was impressive, both for now (it's mid-winter here in eastern Missouri) and later, for summer. As an aside, Ina fans might want to check out her older cookbooks, many are available used on Amazon for a dollar or so plus $4 shipping. Also, please know for the record that this is "not" a sponsored post, I just fell in love with Ina's new cookbook from the library and am passing along my experience! But let's talk about this g-o-r-g-e-o-u-s carrot salad, worthy of celebration, a celebration in itself. If you're ready for a healthy break from the spare fare that January seems to demand, this is your salad – but without breaking the budget or the belly. It's vegan but don't worry, this salad just might persuade an ardent carnivore that meat and dairy just aren't as necessary as they some times seem. And while the salad may look slightly involved, it's really not, just roasted carrots and a simple vinaigrette, then salad greens and a handful of indulgent toppings. And yes, you can "make it ahead". I love the drama of rainbow carrot colors – purple, yellow, white and orange – one of many refrigerator staples found at Trader Joe's. But plain ol' everyday orange carrots work just as well. You do want to use whole carrots, the slices are a particular size and shape that maximize the roasting surface area and give the carrots an appreciated meaty mouthfeel. Second, let's talk roasting carrots. The trick is to spread the carrots as widely as possible so they roast instead of steam. Ina's original recipe actually suggested starting off with two baking sheets for the first 20 minutes, then combining the contents onto one for the last 20 minutes. Me, I had great luck roasting the carrots on a single baking sheet but up front, did take a little extra time to ensure that the carrot pieces were evenly distributed. CARROTS Heat oven to 425F/220C. One at a time, cut each carrot into diagonal slices about an inch thick and 2 inches long. Toss slices with olive oil, salt and pepper. Arrange carrots evenly on a bare rimmed baking sheet. 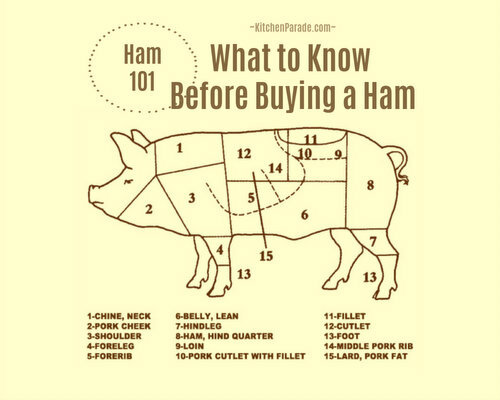 (Stop here if prepping ahead of time.) Roast for 20 minutes. Remove from oven and drizzle with maple syrup, stir to distribute and roast for another 15 - 20 minutes, the carrots should be slightly caramelized and syrupy, not dark and sticky. Set aside 10 minutes. CRANBERRY VINAIGRETTE While carrots roast, bring cranberries and orange juice to a boil in a medium saucepan. Remove from heat and let rest for 10 minutes, turning the cranberries all plump and orange-y. Whisk in vinegar, garlic, salt and olive oil. May be made ahead of time. TO FINISH On a large platter, distribute a generous amount of arugula and mound Roasted Carrots in the center. Drizzle Cranberry Vinaigrette over top of arugula and carrots, then sprinkle with fresh dill, pomegranate seeds and Maple-Glazed Pecans. TO SERVE Serve immediately or within an hour or two. MAKE-AHEAD TIPS This is an easy (mostly) make-ahead salad. Even the day/couple days before, make the Cranberry Vinaigrette and prep the pomegranate seeds. I keep Maple-Glazed Pecans in the fridge, they keep for weeks. Even the carrots could be roasted beforehand, though I don't recommend assembling the whole dish up until an hour/so before serving. VARIATIONS Ina's recipe called for bits of goat cheese sprinkled over top. I substituted and loved feta crumbles but also found it most satisfying without any dairy, thus a vegan main dish salad. Worth noting! LEFTOVERS Leftover, the salad's no longer beautiful but sure does taste good! CARROTS If you like, serve the salad with carrots warm from the oven or at room temperature. I like both! It helps if the carrots are of similar thickness (about one inch or a little bigger in diameter) but don't worry, simple knife work can overcome variations. Why a bare baking sheet? It helps the carrots roast, not steam. This makes a huge difference and clean-up's still a breeze. MAPLE SYRUP It's rare for me to be willy-nilly with an ingredient amount. In this case, I loved the roasted carrots with the full 4 tablespoons of maple syrup that Ina specifies but thought that less would be almost as good. So I cut it back to 2 tablespoons and found myself missing that extra sweetness. Would 3 tablespoons be perfect? Maybe! GARLIC It's a new technique to me, using a microplane to grate garlic. Total win! SERVING I found people a tiny bit hesitant to dive into this salad platter. For a main dish salad, I'd definitely consider making up individual plates, only a little more effort, really, than a single platter. Whole Salad Per Serving (assumes 6 ounces arugula, 4 tablespoons each fresh dill, pomegranate seeds and Maple-Glazed Pecans): 212 Calories; 11g Tot Fat; 1g Sat Fat; 0mg Cholesterol; 90mg Sodium; 28g Carb; 5g Fiber; 19g Sugar; 2g Protein. 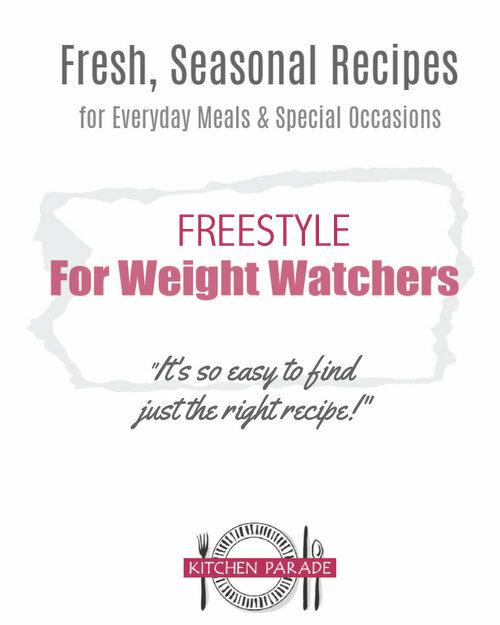 WEIGHT WATCHERS 4 Old Points & 6 PointsPlus & 9 SmartPoints & Freestyle 9 CALORIE COUNTERS 100-calorie serving = 1/2 serving (1g protein). This recipe has been "Alanna-sized" with less Cranberry Vinaigrette, less oil, less salt, less sugar, no calorie-dense dairy, fewer nuts, additional no-calorie flavors. More Healthy Salad Suppers, Enjoy! This looks beautiful and I will make it this weekend. My husband HATES dill though. I could simply leave it out, but I wondered if you recommend a replacement? Linda ~ Thanks for the kind words, they arrive on a “good” day. The salad is truly beautiful and dill is definitely not required. First of all, you could leave it out entirely. Second of all, since a little something “fresh and green” does add to a salad like this, you could substitute another herb, maybe tarragon? a bit of chive? even stalwarts like cilantro and parsley? Let me know how it goes! PS I’m taking lunch to a group of friends on Friday, I was thinking chicken salad but just might opt for this salad!